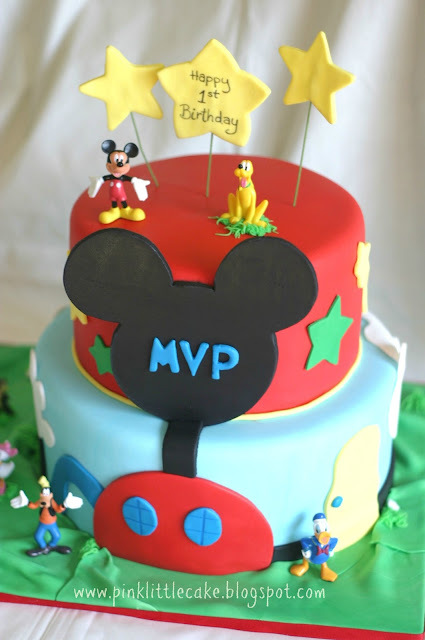 Mickey Mousse Clubhouse cake for a little boy's 1st birthday party. 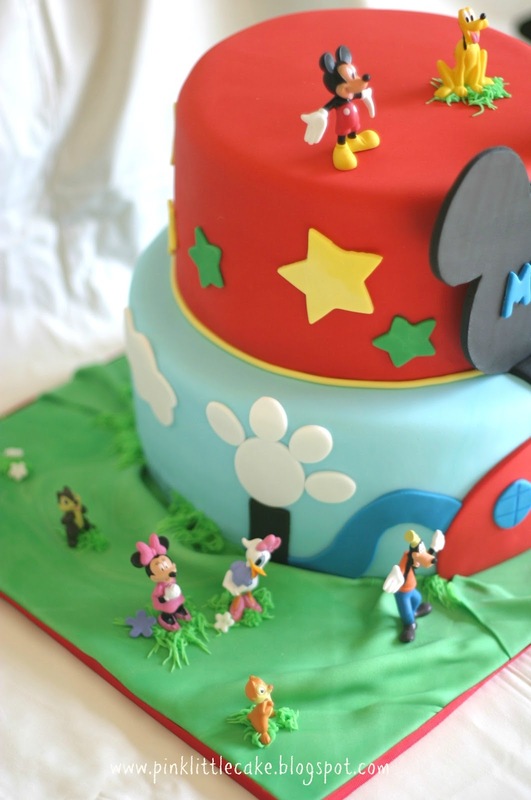 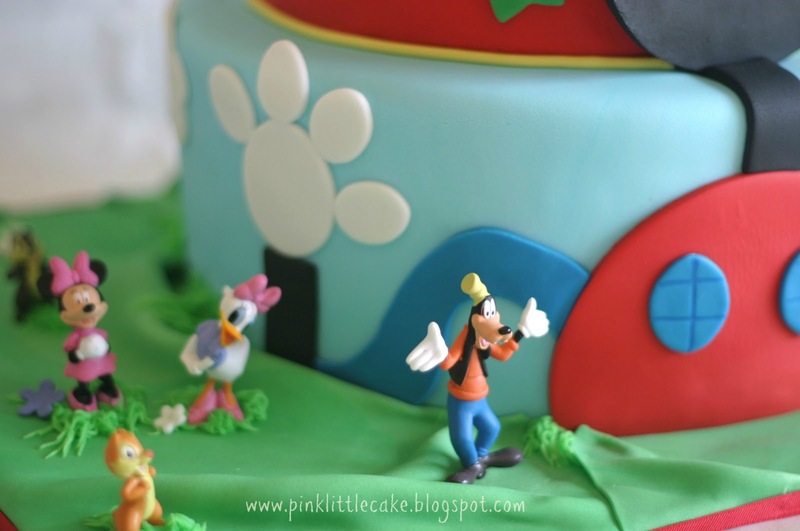 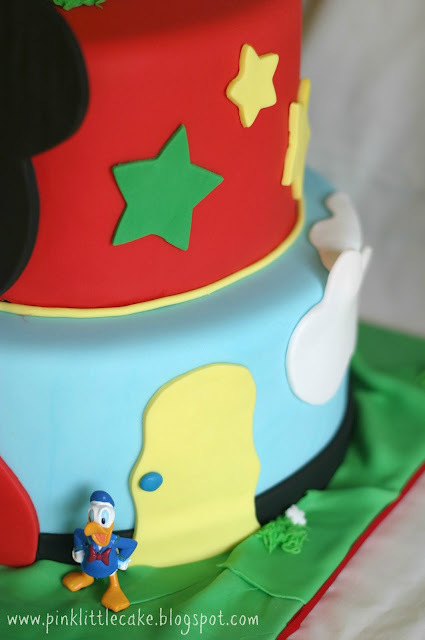 The top tier cake is covered with red fondant, the first tier is light blue fondant.Mickey ears, grass and other decorations are also made with fondant. All toys were provided by the client.